Paid Apps for Free !!! : Celebrating 5 Years of iTunes Store!! Posted on Apple’s own dedication page are words of appreciations, a brief history recap, as well as a joint present for most iDevice users. 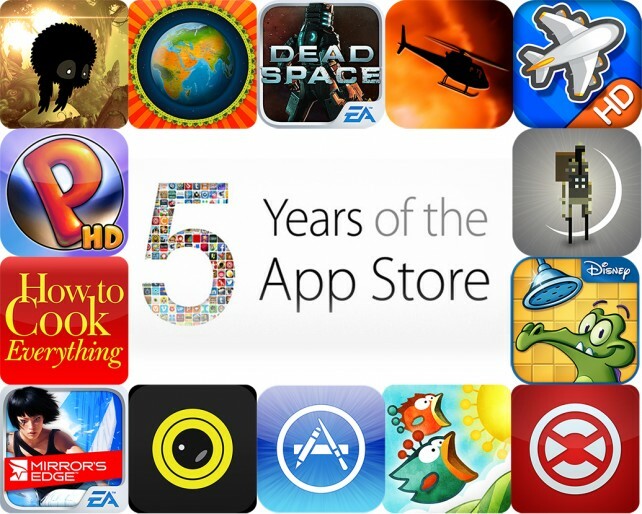 From the 500 apps available at launch in 2008 to the more than 900,000 available at your fingertips today, it’s been a remarkably prolific five years for the App Store. To celebrate, we’re giving everyone five landmark games, and five groundbreaking apps for a limited time. Plus, look back at the key moments that have made the App Store the world’s most innovative destination for apps. Dead Space™ by Electronic Arts (Free, 425.6 MB): Don your space suit and get ready for some truly terrifying gameplay in this horror game from EA. Dead Space for iOS isn’t just a remake of the original hit game. It’s an entirely new story designed for mobile gamers. You must hack and shoot your way through hordes of nasty Necromorphs in order to survive. Keep an eye out for power nodes to upgrade your weapons and your armor. The game includes two modes, eye-popping graphics, and achievements and leaderboards via Game Center. Flight Control by Electronic Arts (Free, 17.9 MB): The line-drawing game that started it all. Guide 10 different aircraft types safely to their matching landing spots by drawing lines all over the screen. The moment one aircraft runs into another, it’s game over. The game includes six airfields, fast-forward, online multiplayer via Game Center, and online chat. Mirror’s Edge™ by Electronic Arts (Free, 100.1 MB): Play as Faith Connors, an underground runner trying to put an end to the totalitarian regime that rules the city, in this fantastic side-scrolling platform game by EA. Faith is able to run on her own through each level, but it’s still up to you to swipe in different directions to cause her to jump, slide, run up walls, and fly down zip lines. You’re also able to partake in a little hand-to-hand combat. The game includes 14 levels, time-based competitions, and unlockable items. 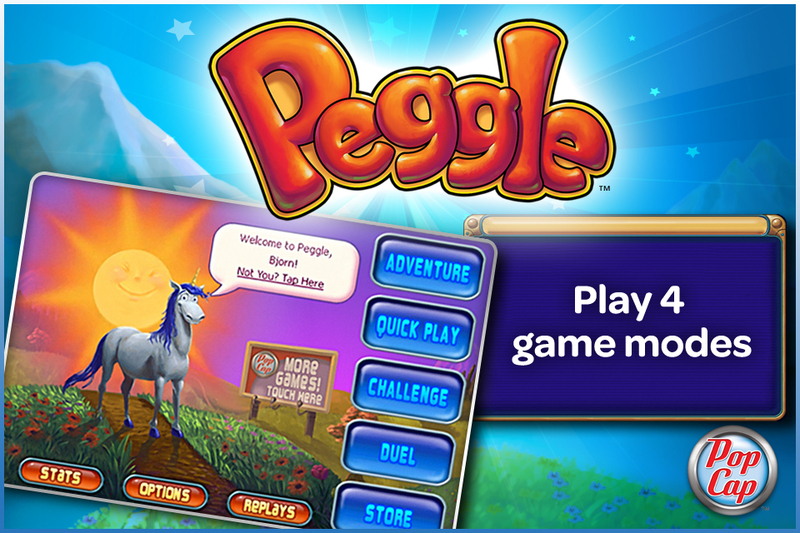 Peggle by PopCap (Free, 114.5 MB): Peggle is the ultimate casual gaming experience for iOS. Try to become a Peggle Master by clearing all of the orange pegs in each level. You’re able to aim your launcher by tapping and dragging your finger across the screen, and you can fine-tune your shot with the precision wheel. Score style points by creating trick shots, and clear every last peg to earn bonus points. The game includes four modes, trophies to earn, and the ability to save replays. Tiny Wings by Andreas Illiger (Free, 13.9 MB): Help a little bird achieve his dream of flight in the App Store’s 2011 iPhone Game of the Year, Tiny Wings. Your little bird is unable to fly due to his rather tiny wings. You must help him use the hills as his jumps by tapping and holding on the screen to slide down, and releasing at just the right moment to launch into the air. Make consecutive perfect landings and launches to earn even more points and outrun the darkness. The game includes two modes, 15 levels, procedurally generated environments, challenges to complete, iCloud support, and achievements and leaderboards via Game Center. Traktor DJ for iPhone by NATIVE INSTRUMENTS GmbH (Free, 36.2 MB): Get in the groove with this powerful DJ app. You’re able to import any two songs from your library. Traktor DJ will recommend songs based on compatible tempo and key. You can then adjust the tempo, add filters, add effects, and loop parts of each song separately. The main view allows you to scratch and mix songs with intuitive gestures. The app also includes the ability to sync all metadata via Dropbox, the ability to record and share mixes, and loads of essential tips and techniques. BADLAND by Frogmind (Free, 120.1 MB): Take control of one of the forest’s many inhabitants and try to discover what’s really happening in your once peaceful home in this action platformer. 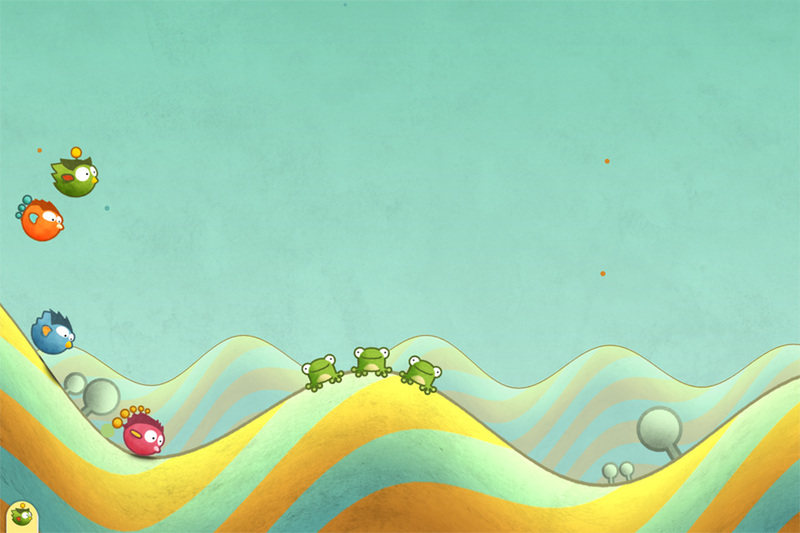 This Apple Design Award winning game features breathtaking environments littered with imaginative traps and obstacles. After you’ve completed the 60 single-player levels, try your luck against your friends in local multiplayer. There are no rules there, except to be the last one standing. The game also includes iCloud support, and achievements and leaderboards via Game Center. Barefoot World Atlas by Touch Press (Free, 1.1 GB): This reference app puts the entire globe into the palm of your hand. You’re able to explore the regions and countries of the world through a 3-D globe that can be spun, zoomed in on, and flown around. You’re able to tap on countries to view live detailed data including flags, capitals, temperatures, local times, and much more. The app also includes narration by geographer Nick Crane, animated illustrations, search, and the ability to add places as favorites. Chopper by Majic Jungle Software (Free, 6.2 MB): One of the App Store’s original hit titles, Chopper has you piloting a helicopter across dangerous terrain in order to complete objectives. You’re able to steer your helicopter via tilt, and tap to fire your machine gun and drop bombs. Try to pick up civilians and keep them safe without getting shot down. The game includes four difficulty settings, loads of levels, and local high scores. Day One (Journal / Diary) by Bloom Built, LLC (Free, 31.7 MB): Preserve your personal history with this beautifully crafted journaling app. It’s designed to encourage you to keep a daily journal, even if you’ve never done so before. You’re able to set reminders that will help ensure you at least jot down some quick memories each and every day. 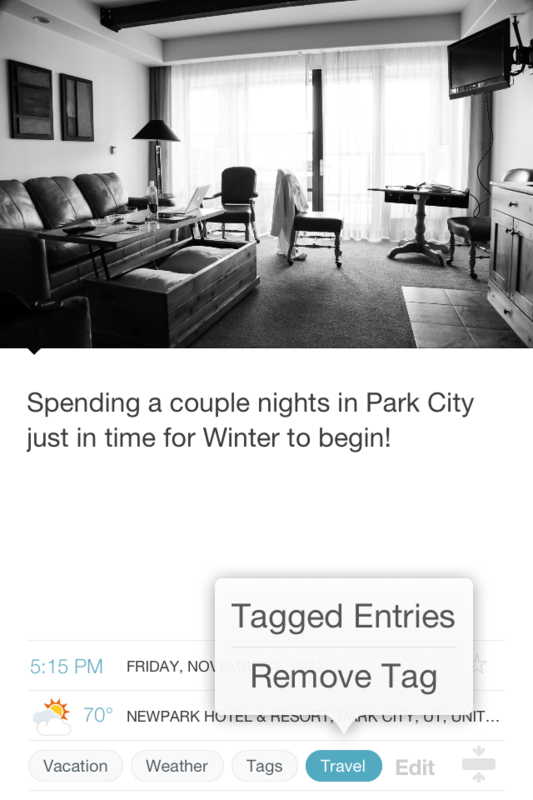 You’re also able to attach tags, hashtags, weather and temperature data, location data, and photos to your entries. The app includes passcode protection, Markdown support, TextExpander support, search, a calendar view, and the ability to share entries. How to Cook Everything by Culinate, Inc. (Free, 47.7 MB): A digital version of Mark Bittman’s best-selling cookbook. It includes 2,000 recipes, which can be browsed through by category, searched for by keyword, or filtered by ingredient, technique, style, or type. Each recipe includes an overview, ingredients, and step-by-step instructions. Recipes can be saved as favorites, shared via a variety of methods, and added to your calendar. You can even add all of the items for a recipe to the built-in grocery list. The app also includes built-in timers, the ability to convert temps and quantities to metric, the ability to attach notes to recipes, and a how-to section. 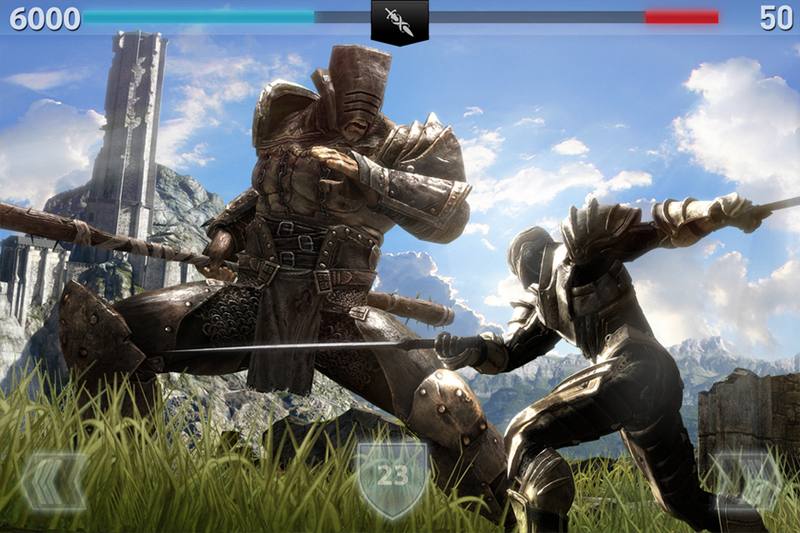 Infinity Blade II by Chair Entertainment Group, LLC (Free, 1.0 GB): Continue your journey as a young warrior battling powerful forces in search of the all-powerful Infinity Blade in this epic combat game. You’re able to explore new immersive environments with multiple paths to take. Engage enemies and perform attack and defense moves through intuitive gestures. Along your journey you’ll have the chance to forge even more powerful weapons and obtain new armor for your warrior. The game includes gorgeous 3-D graphics powered by the Unreal engine, online asynchronous multiplayer, and achievements and leaderboards via Game Center. 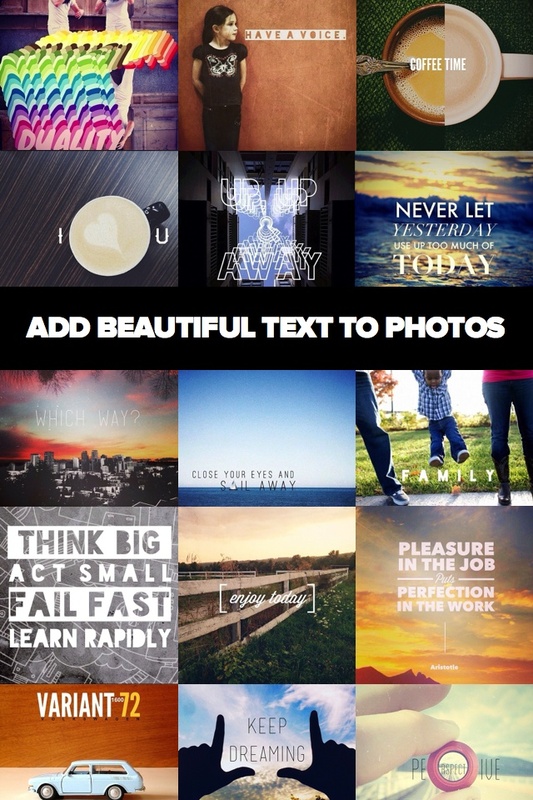 Over by Potluck (Free, 32.9 MB): Make your photos pop with stunning fonts and artwork with this photography app. You’re able to import any photo from your library or take a new one within the app. You can then choose from the huge selection of fonts and artwork, which can be resized, aligned, and positioned anywhere on your photo. You’re also able to import your own fonts from anywhere on your iDevice. Your final creations can be shared via Instagram, Twitter, Facebook, Tumblr, or Pinterest. Superbrothers: Sword & Sworcery EP by Capybara Games Inc. (Free, 158.6 MB): An action adventure game like no other. Superbrothers: Sword & Sworcery places an emphasis on audiovisual style to guide you through a mythic little realm affected by real world moon phases. 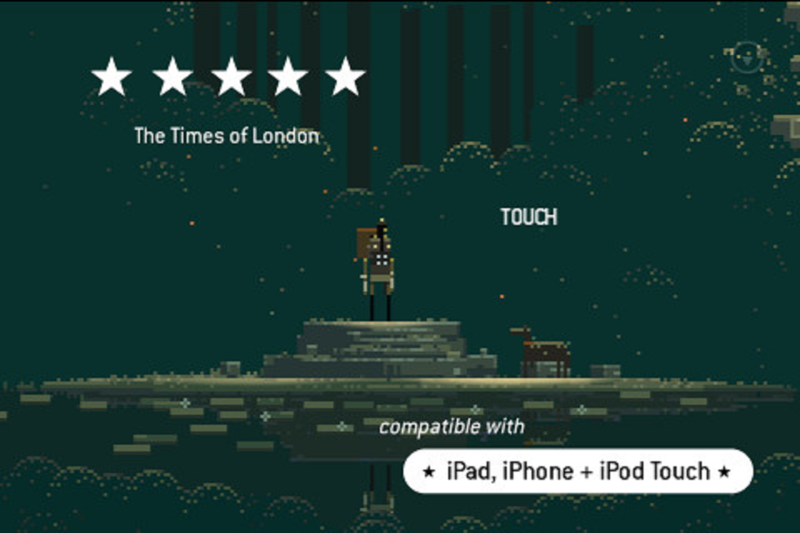 Take out your sword to do battle and evoke sworcery to solve musical mysteries. You’re able to share your unique experiences as a wandering warrior monk on her woeful errand via Twitter. Where’s My Water? 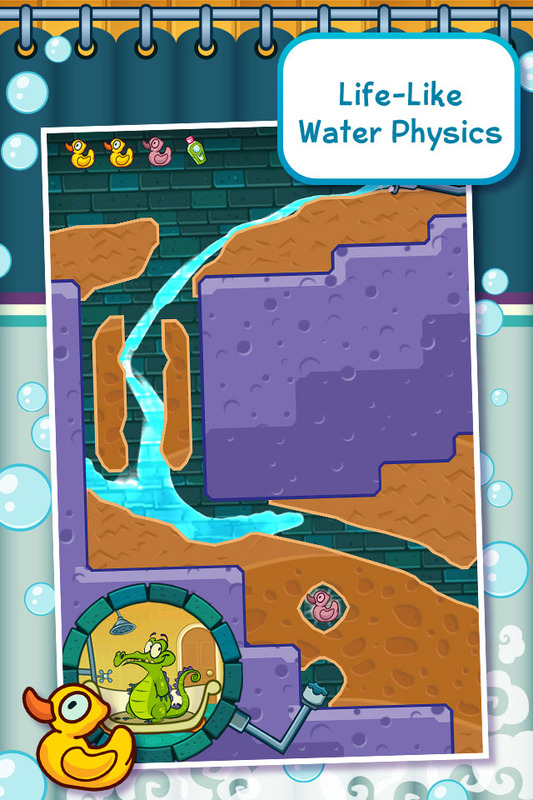 by Disney (Free, 44.1 MB): Do everything in your power to get water to Swampy the alligator so he can fill his tub in this physics puzzler from Disney. Throughout the game new mechanics will be introduced, making it more and more difficult to ensure that a clean water supply is delivered to Swampy. You can try to collect the three rubber ducks in each level to earn a perfect rating and unlock new content. The game includes nine chapters, hundreds of levels to conquer, iCloud support, and achievements and leaderboards via Game Center. Dead Space™ For iPad by Electronic Arts (Free, 436.9 MB): Don your space suit and get ready for some truly terrifying gameplay in this horror game from EA. 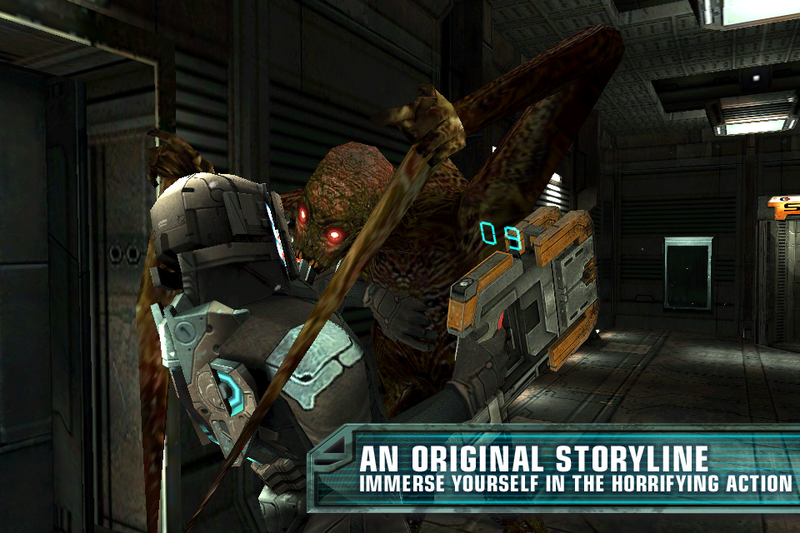 Dead Space for iOS isn’t just a remake of the original hit game. It’s an entirely new story designed for mobile gamers. You must hack and shoot your way through hordes of nasty Necromorphs in order to survive. Keep an eye out for power nodes to upgrade your weapons and your armor. The game includes two modes, eye-popping graphics, and achievements and leaderboards via Game Center. Flight Control HD by Electronic Arts (Free, 18.1 MB): The line-drawing game that started it all. Guide 10 different aircraft types safely to their matching landing spots by drawing lines all over the screen. The moment one aircraft runs into another, it’s game over. The game includes nine airfields, fast-forward, local same-device multiplayer, online multiplayer via Game Center, and online chat. Peggle HD by PopCap (Free, 133.2 MB): Peggle is the ultimate casual gaming experience for iOS. Try to become a Peggle Master by clearing all of the orange pegs in each level. You’re able to aim your launcher by tapping and dragging your finger across the screen, and you can fine-tune your shot with the precision wheel. Score style points by creating trick shots, and clear every last peg to earn bonus points. The game includes four modes, trophies to earn, and the ability to save replays. Tiny Wings HD by Andreas Illiger (Free, 22.4 MB): Help a little bird achieve his dream of flight in the App Store’s 2011 iPhone Game of the Year, Tiny Wings. Your little bird is unable to fly due to his rather tiny wings. You must help him use the hills as his jumps by tapping and holding on the screen to slide down, and releasing at just the right moment to launch into the air. Make consecutive perfect landings and launches to earn even more points and outrun the darkness. The game includes three modes, 15 levels, procedurally generated environments, challenges to complete, iCloud support, and achievements and leaderboards via Game Center. Traktor DJ by NATIVE INSTRUMENTS GmbH (Free, 36.8 MB): Get in the groove with this powerful DJ app. You’re able to import any two songs from your library. Traktor DJ will recommend songs based on compatible tempo and key. You can then adjust the tempo, add filters, add effects, and loop parts of each song separately. The main view allows you to scratch and mix songs with intuitive gestures. The app also includes the ability to sync all metadata via Dropbox, the ability to record and share mixes, and loads of essential tips and techniques.